Aluminum type-C hub with Power Delivery. 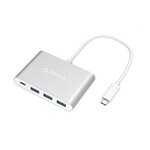 Create three USB3.0 type-A ports and connect additional peripherals. Suitable for MacBook, Huawei Matebook, Mi Notebook Air and other laptops with the latest type-C connection. Do you have one of the newest laptops with type-C connection and would you like to create more type-A ports for your peripherals? 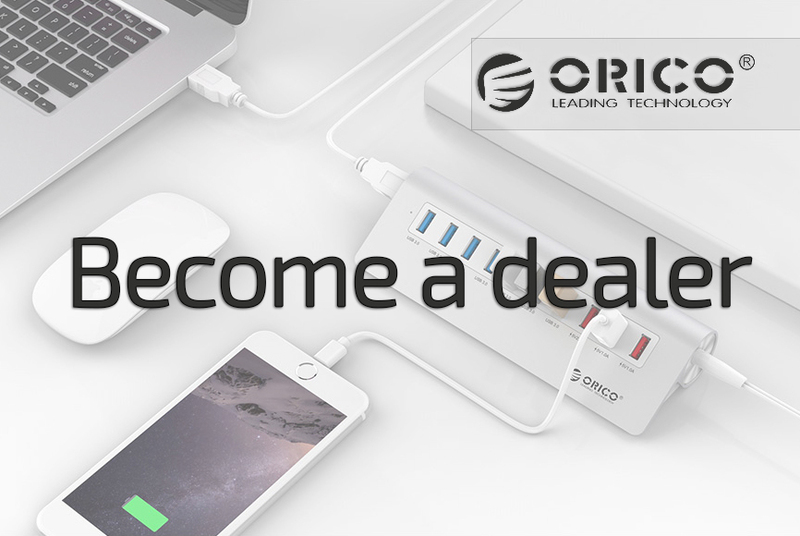 Then this stylish hub from Orico is the product you need. Not only can you use more type-A ports after connecting the hub, you also enjoy the Power Delivery function and a speed transfer of up to 5Gbps. The latest type-C connection with Power Delivery function allows you to benefit from a fast transfer speed of 5Gbps and you can charge various devices from your laptop. Thanks to the PD function you can now also charge your laptop via the USB type-C connection. 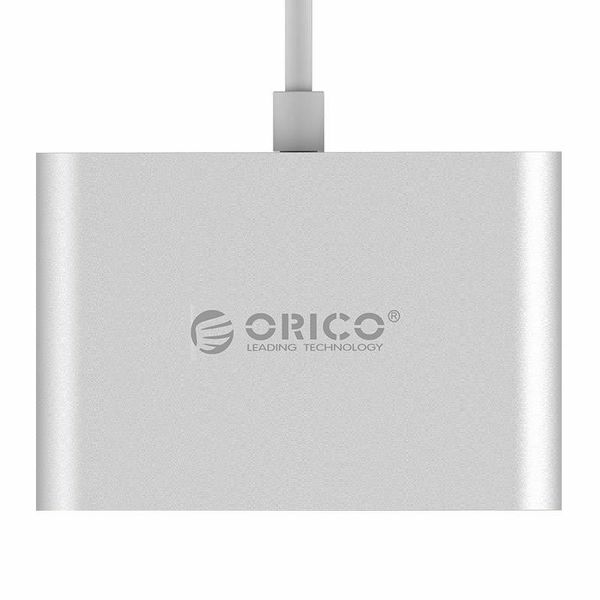 For this you need to plug a type-C charger (not included) into the type-C hub of Orico. 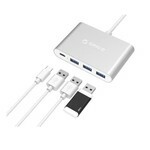 After this, the power supply is transferred to your laptop and the connected devices on the USB3.0 type-A ports. The LED indicator turns blue when connected and red when charging via Power Delivery. Very useful about this Orico product is that you can not only charge your laptop through the type-C Power Delivery port, but you also create three USB3.0 type-A ports at the same time. The latest MacBooks from Apple no longer have a type-A port, so the design is slimmer. 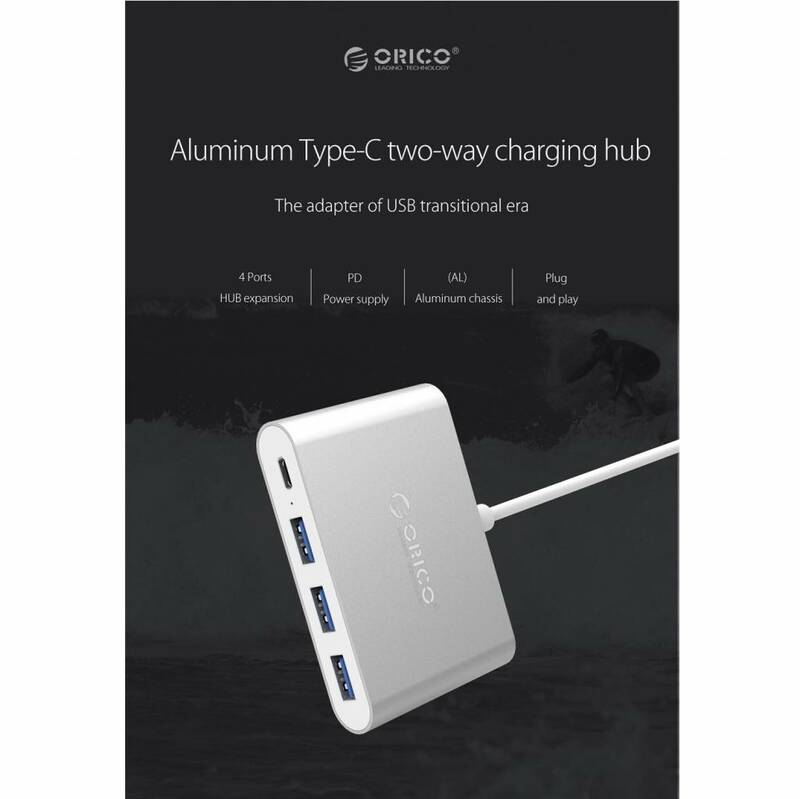 It is therefore ideal that through this stylish aluminum hub of Orico you again have several type-A ports where you can connect peripherals. 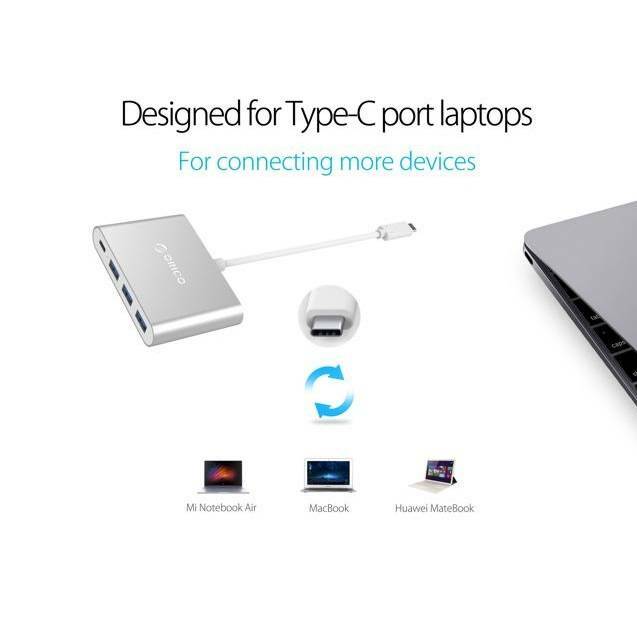 The type-C hub with three type-A ports has a modern and luxurious design. 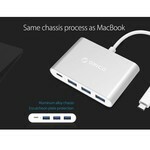 This is due to the aluminum alloy and the sleek, matte finish. 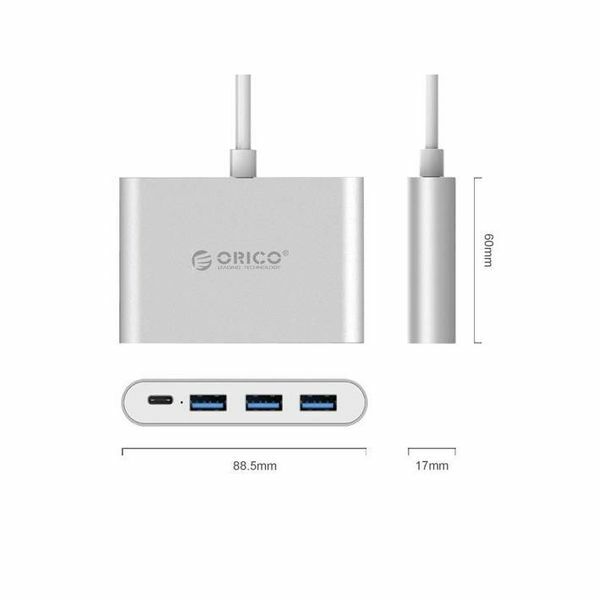 The hub fits perfectly in an 'Apple' environment, but also with another laptop or desktop with the latest type-C connection. 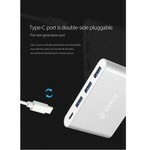 The type-C with PD hub from Orico is very nice but also friendly to use. 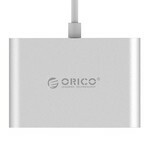 The compact dimensions and light weight make it easy to take to work, school, conferences or traveling. 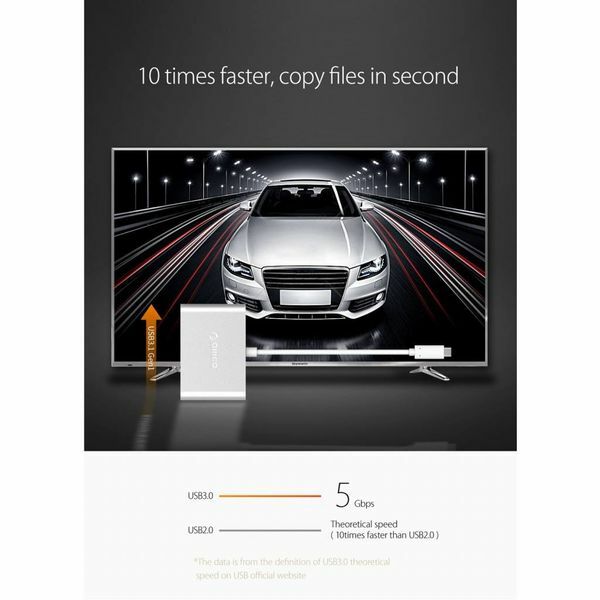 The hub is compatible with Windows, Linux and Mac OS without driver. 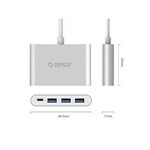 You can connect the hub to your laptop with type-C port using the 15 cm cable. The type-A ports support peripherals, including a keyboard, mouse, printer, USB stick or smartphone. The transmission performance is very good, because an intelligent chip is processed in the hub. 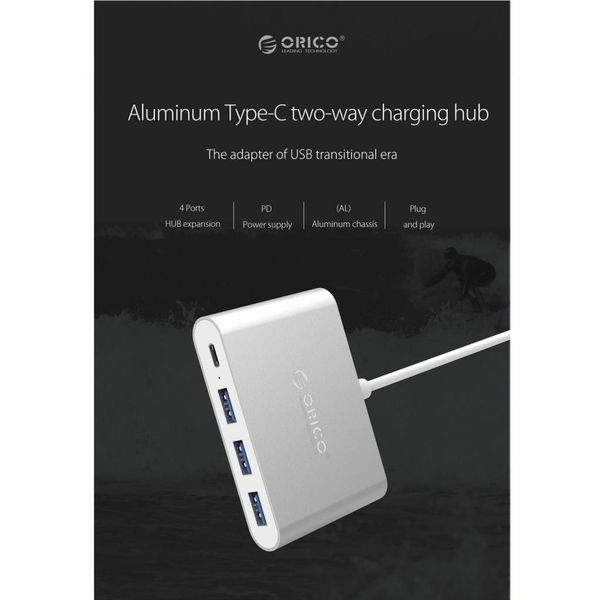 The Orico aluminum type-C hub with Power Delivery has a Multi-Safety security system. As a result, there is no short circuit, leakage current, overload and overheating. The hub can also automatically switch itself off. So connect various devices to the aluminum hub with peace of mind. ✔ Output: 1x USB Type-C, 3x USB3.0 type-A. 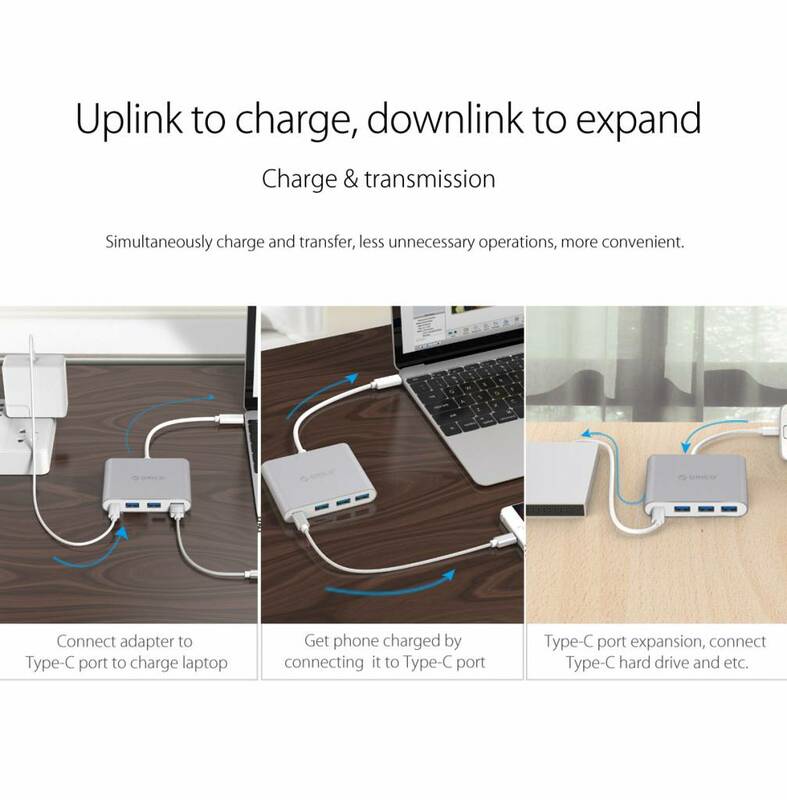 ✔ Cable length: 15 cm. ✔ Product dimensions: 60mm x 88mm x 17mm.